5 Winning Magazine Covers With Black Women to Cop Right Now! I remember the first time I saw model Kirsti Bowser on the cover of Elle magazine when I was around 14 years old. To see a black woman in such a prominent place gave me the courage to say, maybe, just maybe, I could do the same thing. I eventually moved to New York City (from Toledo, Ohio) to follow in her footsteps, and though I never quite made it to cover girl status, I would have never taken such a leap of faith had she not planted such a seed in me with that one image. That's the power of a magazine cover. It can make a little black girl believe that anything is possible. We salute the following ladies, gracing covers, making it look easy, and inspiring the next generation of magic! 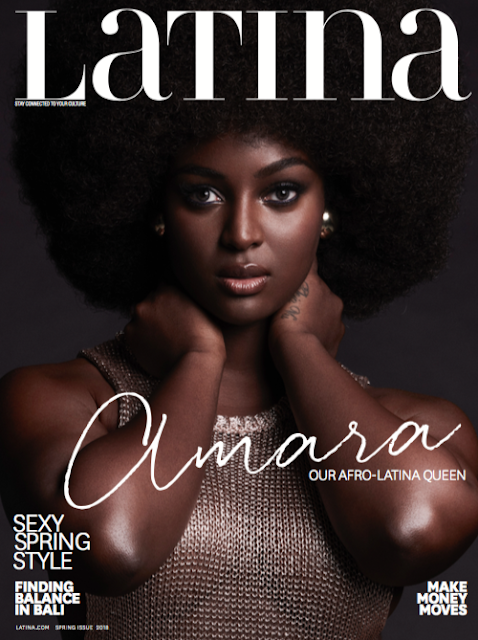 Amara la Negra with her beautiful dark skin and colossal fro is challenging the Latin community to have conversations around colorism that have long been swept under the rug. 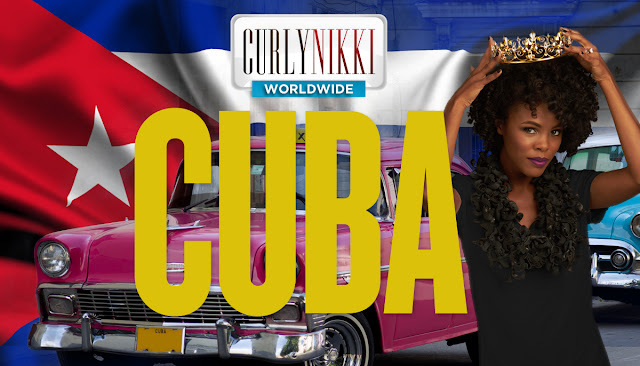 In the Spring issue of Latina magazine (which has never before featured someone her complexion), the Love and Hip Hop Miami star talks being comfy in her skin, her bodacious curves, and why it's time to let the world know that there are Latin people who look like her. Go on girl! 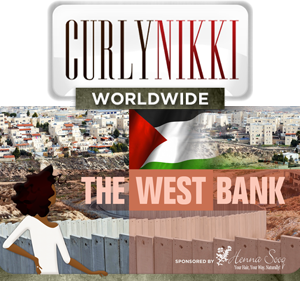 Check it all out right cheeyah! 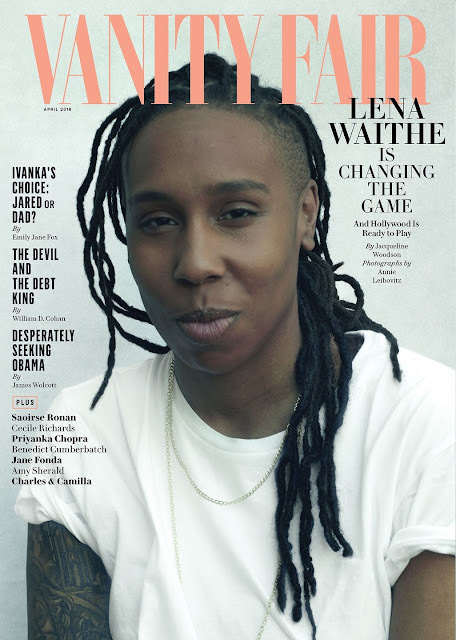 Lena Waithe is indeed changing the game. Whether she's flexing her acting muscles on Master of None, producing the hell out of The Chi, or advocating on behalf of the LGBTQ community, Lena is everywhere at once! In this iconic issue of Vanity Fair she opens up about growing up with her "third parent" (the TV screen) her feelings about "Time’s Up," and more! Read the full story on VanityFair.com! 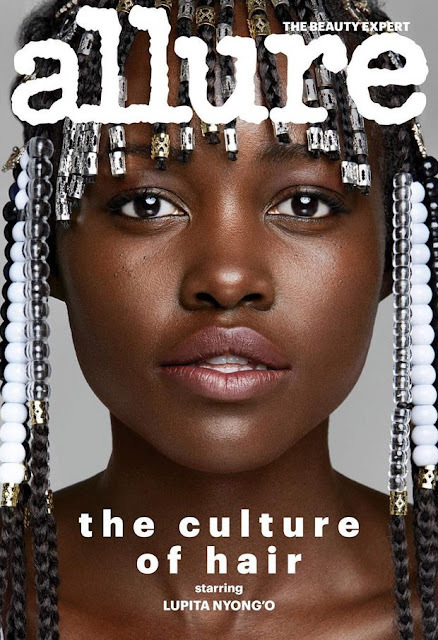 No stranger to magazine covers, in this issue of Allure mag Lupita talks shaving her head for the first time, learning to braid hair out of necessity, and her secret weapon hair stylist Vernon Francois! 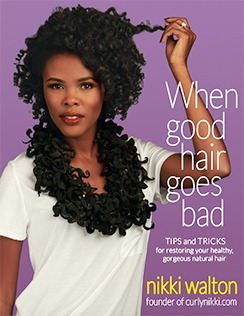 Find out how she got her cover look here! Cosmo must know that it ain't a party if it ain't got Bacardi! 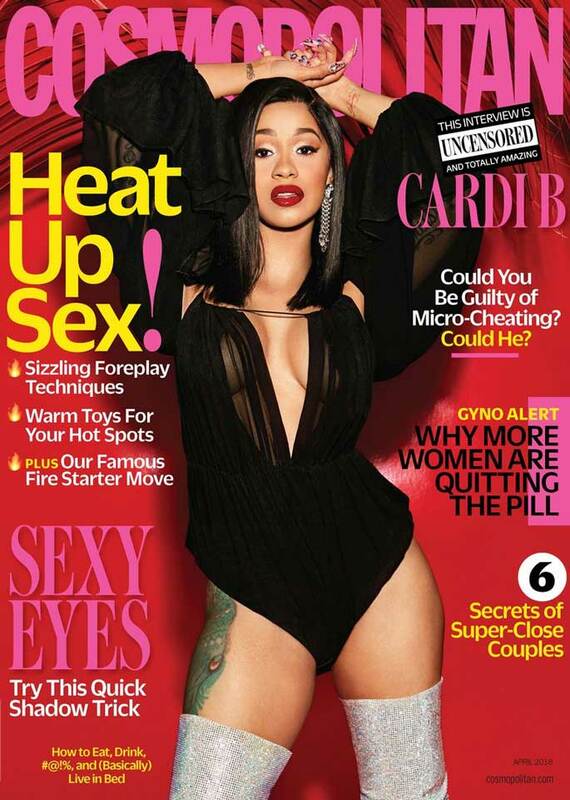 In this issue the Bronx-born rapper opens up about the #MeToo movement, staying with a cheating man, and having a number one record! Read the full interview. 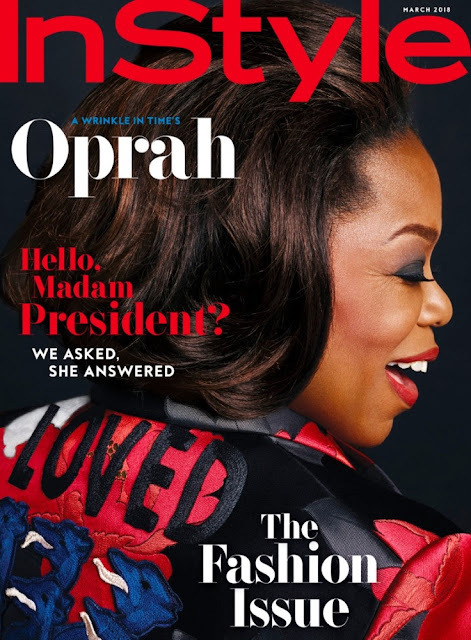 Though Oprah is the all-time reigning cover queen of her own magazine, it's still nice to see her spread herself around! In this month's issue of InStyle she chats about why she won't run for President, "Exploring the depth of our human experiences," and how she stays centered. Okay, so this is a bonus magazine cover because it's not quite on the stands. You have to order it from the website. 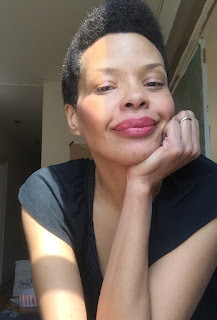 None the less, doesn't #MeToo founder Tarana J. Burke look FANTASTIC!!! She's giving us #MotherGoddessAfricanQueen all rolled into one! In the issue she says, “These little Black and Brown girls go out into the world... we can tell them all the positive things we want. You’re beautiful, you’re amazing, blah, blah, blah. But they go out into the world where every day, the world tries to discount them and tell them something different…” And that's why she does the work. May she continue to do the work, and may we all be inspired to do the same! 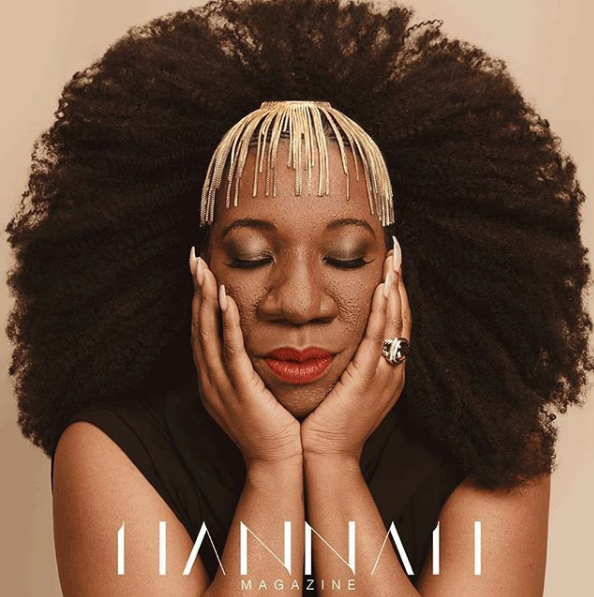 Visit Hannahmag.com for more deets! What's your favorite cover? And did you have a magazine cover that inspired you growing up?